Police have released photos of two people they would like to speak to in relation to break-ins at a cafe and newsagents in Westbury in the early hours of Saturday morning 3rd February 2018. 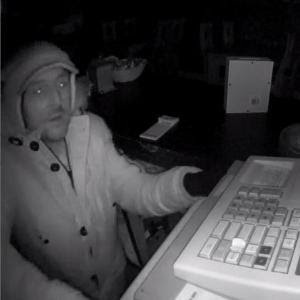 Between 1.00 a.m. and 2.00 a.m., unknown offenders broke in to the White Horse Cafe, High Street, Westbury, and stole a small amount of cash after making an untidy search of the premises. They then broke in to McColl's, also on the High Street, stealing an amount of cigarettes before making off. Officers would like to speak to the two males in the attached pictures in relation to these break-ins. Det. Con. Robert Blake said: "We would like anyone who recognises these males to come forward; also if you were out in Westbury in the early hours of Saturday and heard or saw anything suspicious in the High Street please contact us." If you can help with our enquiries please contact Melksham CID on 101 or anonymously, via Crimestoppers, on 0800 555 111.